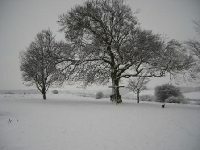 The Downs are adminstered by the Corporation of London (City of London) acquired through the Epping Forest Act and the Open Spaces Act – adopted in 1878 as a result of concern about building development and is in the heart of the Green Belt. The legislation enabled the Corporation of London to acquire open spaces within 25 miles of the City for the ‘recreation and enjoyment’ of the public’. The Downs cover 120 acres which is largely grassland. In summer it is a riot of colour. There is a well sign-posted circular walk. The City Of London Rangers’ conservation work includes the managementof cattle and sheep to ‘mow’ the grasslands re-introduced to The Downs a few yers ago. They have put up new benches whose tops are made from felled trees; maintain the fencing and often give talks and lead walks. Help support the work of the Friends of Farthing Downs – The Friends work in partnership with the City of London, and in addition to helping shape projects like the new proposed visitor facilities and organising talks and guided walks, there are many other ways the Friends can help protect and enhance this unique site. We can work as independent group to campaign to protect the Downs from possible development or actions which may affect its value as a Site of Special Scientific Interest (SSSI) or its ancient archaeology. 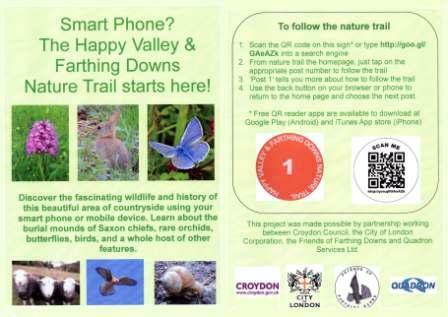 Friends can raise funds for community projects on the Downs and acquisition of land adjacent to the Downs. A fund raising campaign by the Coulsdon Green Belt Action Group helped the acquisition of Woodplace Farm Fields, now managed by the City as a local open space. 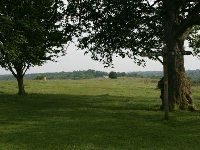 In 2006 the Friends won funding to support an archaeological survey on the Downs carried out by volunteers organised by English Heritage. We currently have contact with local schools with a view to organising a programme of walks for children which will complement their school work. – Go to Dates for Your Diary page to find a list which includes events organised by the Friends. A Celtic field system was discovered in 1939 during the building of anti-aircraft trenches. In 1948 and 1949 a Saxon cemetery was discovered dating from the late 6th and 7th centuries. Some 20 burial barrows were found, along with many other flat graves. There is a Folly at the top of the Downs (shown in part in the first photo above) with a sign post pointing the way to Coulsdon, Hooley……. The photo also shows in the background the Millennium Cairn which contains a time capsule and has a metal plate giving pointers to various places of interest. The cairn was unveiled in October 2000. From here there are magnificent views all around. The Corporation re-introduced cattle to The Downs in 1994 as the most efficient way to maintain the land as traditional chalk grassland. The road over the Downs was the original Brighton Road before the Prince Regent instigated the building of the new Brighton Road – now known as the A23 – so that he could get to Brighton and his Pavilion as quickly as possible. If you follow the road towards Chaldon you will pass a house which was originally a Coaching Inn. Sadly the swing boats which were once here have long since been removed Further on this road you will come across the ancient pre-Norman Chaldon Church which was recorded in the Doomsday Book.